Next Clothes Club event set for Dalston Roof Park! After the roaring success of the last Clothes Club at the Hackney Pirates (we raised a cool £600 for the young Pirates’ guidebooks), we’ve been itching to find a summery venue for our next event. We searched long and hard and finally came up trumps; what more befitting a venue for this gorgeous weather than the Dalston Roof Park? Our next event is set for the 4th of September, giving you plenty of time to select three items of clothing to trade for three brand spanking new ones! We are passionate about sustainable fashion here at the Clothes Club and what better way to help the environment then taking part in a fun-filled swishing event. Plus there should be plenty of networking opportunities for attendees, we were enthused to see some exciting relationships blossom at our last event. The clothes swap itself is for girls only, but men can come for the party and make a donation. 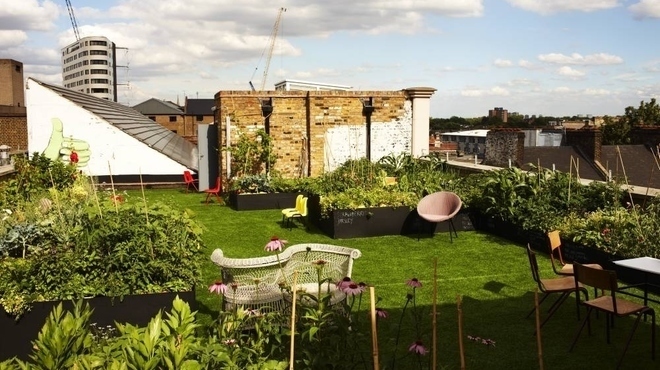 Money raised on the night will go towards Bootstrap company, who run Dalston Roof Park. Boostrap are a social enterprise that supports startup enterprises and runs projects and events to tackle youth unemployment. The particular project we will be raising money for involves amazing muralist Nazir Tanbouli. Nazir will doing a mural from July to September on their five floor internal staircase. He’ll design, produce and paint the mural with five young people from the local area, coaching them on every aspect of being a muralist. The aim is that they leave inspired, with practical knowledge and skills to deliver their own murals in the future. We’ll keep you posted on further details but in the meantime you can work on your sun lounging, clothes selecting and cocktail drinking skills (we know, we work you so hard!) in anticipation for our most exciting Clothes Club yet! The clothes swap itself is for girls only, but men can come for the party and make a donation. Doors open from 5pm and the Clothes Club itself starts at 7pm. There is no entrance fee for those who do not want to swap clothes but a small donation would be welcome. Buy tickets here to join the fun.